I cannot believe that Cycle 1 of art is over, and we are on to Cycle 2! We have completed the artwork for the Square 1 Art Fundraiser, so you can expect to receive order forms and “Squickers” at the beginning of November. Your participation in the fundraiser is crucial to the art supply budget. Thank you so much for your prior support, and I hope you are looking forward to seeing your what your child has created this year! Remember — 45% or more participation earns us a bonus! Cycles 1 & 2 of art focused on the concept of line and shape, two art elements that are identified as core course objectives. 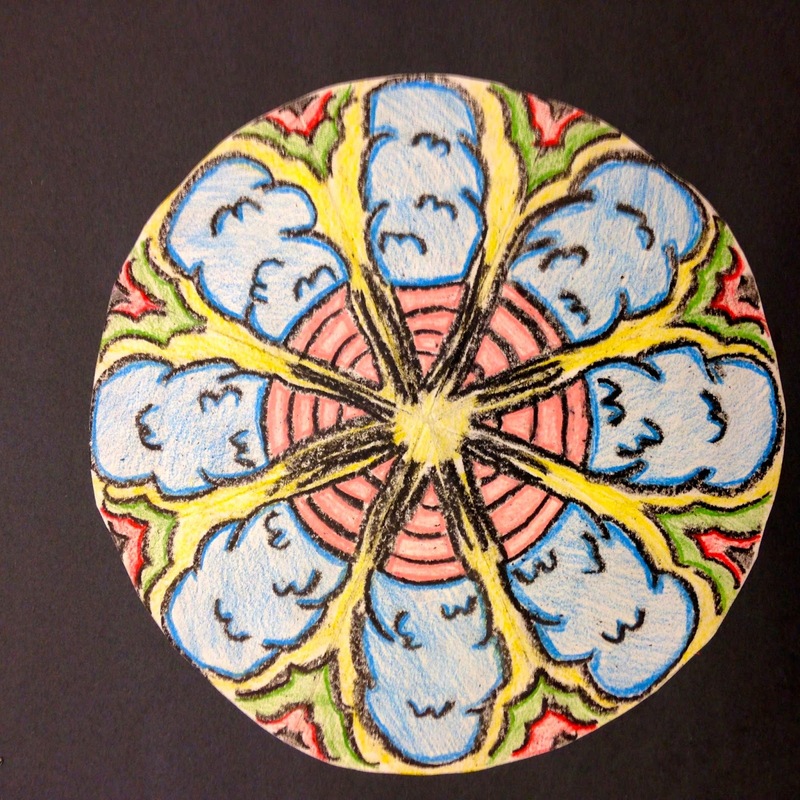 Mandalas, and their use of line and shape, were the focus of our first project. Next, students built on what they learned last year about the concept of perspective, or creating a 3D image on a 2D surface. Students practiced extreme perspective by learning about foreshortening, a tool that artists use to create depth and three-dimensionality in their work. 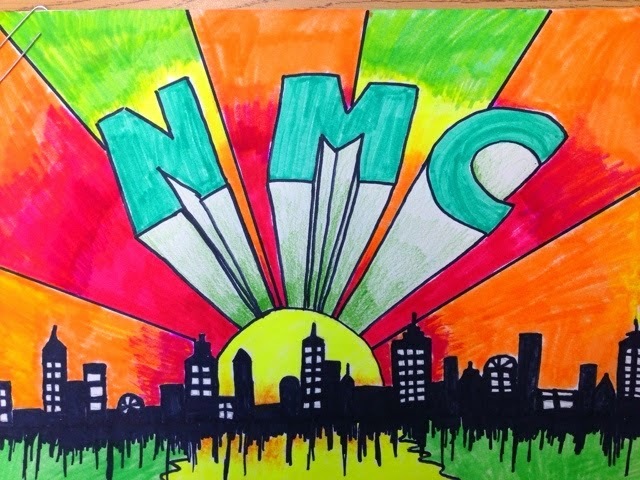 Students learned about 1-point perspective through the use of a horizon line and vanishing point to make two-dimensional shapes into three-dimensional forms. They used this new skill to draw their initials in perspective. Symmetry was the focus of our shape lessons. The concept of contour line, or the outline around an object, was studied by third graders. 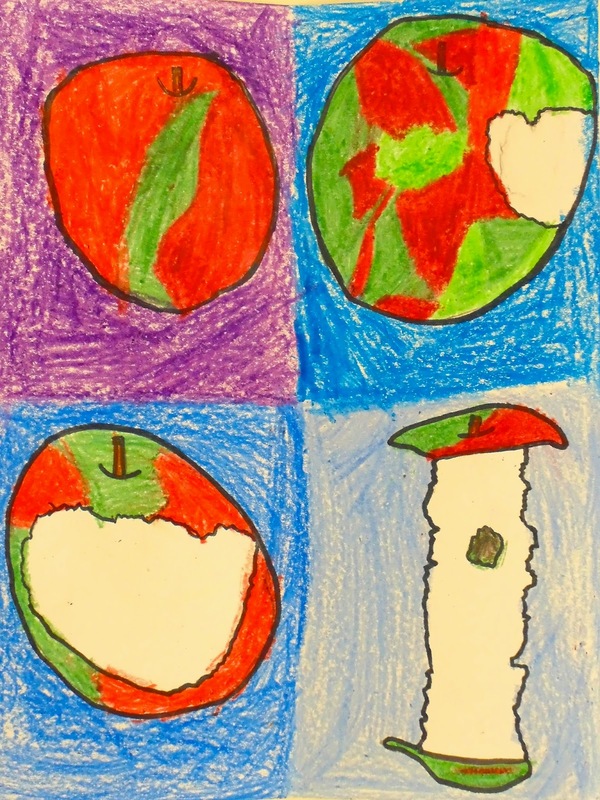 Students explored contour line through an observational drawing of a fruit as it is eaten. Next, students studied how geometric shapes can be used to create more complex objects through the study of the artwork of Paul Klee. Movement through line was the focus of second grade’s line projects. They studied the artist Keith Haring and learned about gesture drawing. 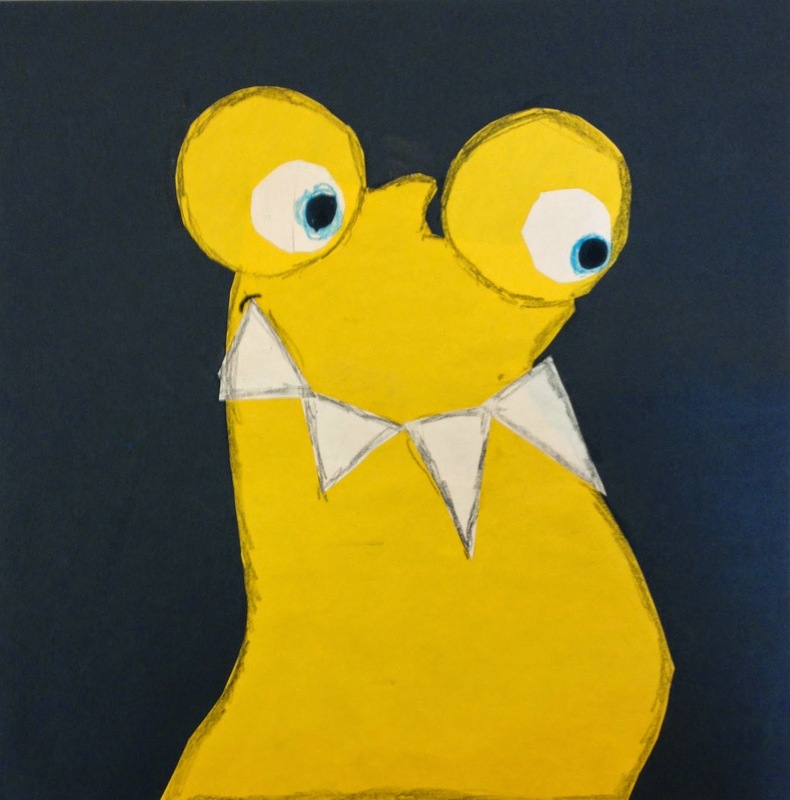 For shape, students studied the difference between organic and geometric shapes and created an “Onster” using these shapes. First graders learned how line shows direction through the study of the terms vertical or standing line, horizontal or sleeping, and diagonal or leaning line. Students completed two different projects to help them master this concept. Next, students used geometric shapes to create more complex patterns and designs. KINDERGARTEN students learned the ropes of the art room and practiced using tools. They have studied scissors and cutting and will be moving on to glue. Additionally, students learned about the different kinds of lines that exist. They “walked the lines”, sang about lines, and drew some lines. Next cycle, students will be combining their knowledge of shape and line and using it to learn about pattern. Lastly, thank you all for the $1.00 donation for storage portfolios!